Giving employees their choice of revolver as a gift is part of an effort to promote personal safety and team building, the company's co-owner said. 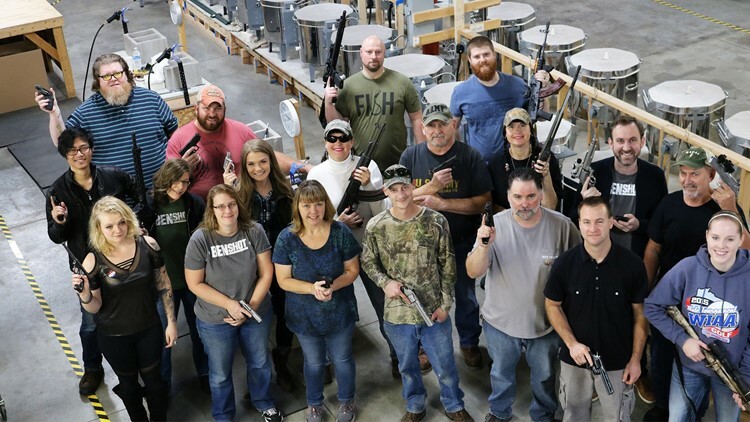 Employees at BenShot, a small business that produces glassware embedded with a bullet, show off their guns at their workshop in Hortonville, Wisconsin. Each worker was given a handgun as a Christmas gift from the company.